Farming What do corn buntings and choughs have in common? What do corn buntings and choughs have in common? The current Cornish chough population (six breeding pairs in 2011) is the only one in England, having returned naturally to the Duchy in 2001. There is also a small edge of range population of corn buntings on the north coast of Cornwall and you can now see choughs and corn buntings feeding together in the same stubble field! Since the late 1990s the RSPB has worked with landowners along the coastal fringe in Cornwall to establish the right sort of habitats for corn bunting and choughs, specifically giving advice and undertaking applications for - back then - Countryside Stewardship, now Higher Level Stewardship schemes on behalf of farmers. We are currently helping some farmers enter their third successive scheme and third decade of wildlife friendly management. We have met, advised and helped many of the landowners from Lizard Point to the Devon border, that’s some 300 km of coast covering many thousands of hectares of land (not counting our more recent work on the cirl bunting recovery project on the south coast). 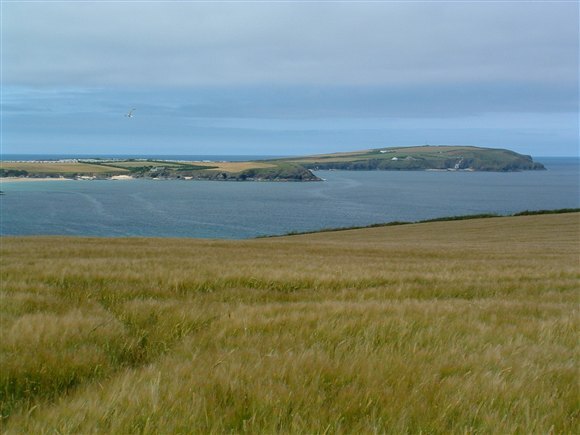 Newquay to Pentire, known as ‘Corn Bunting Country’, is where a network of incredibly supportive farmers has put in place specific measures to ensure corn buntings have safe places to nest and food sources to get them through the year. The population though small, (approx 55 singing males) seems to be bucking the national trend and is stable thanks to the farmers supported by Natural England doing all they can to ensure they are not lost, (there are lots of positive benefits for other threatened species too, especially arable plants and butterflies). Interestingly, the farmers I met and helped set up corn bunting agreements for in the early days are now managing for choughs too, as these iconic birds increase their range in Cornwall. Habitats used by chough e.g. 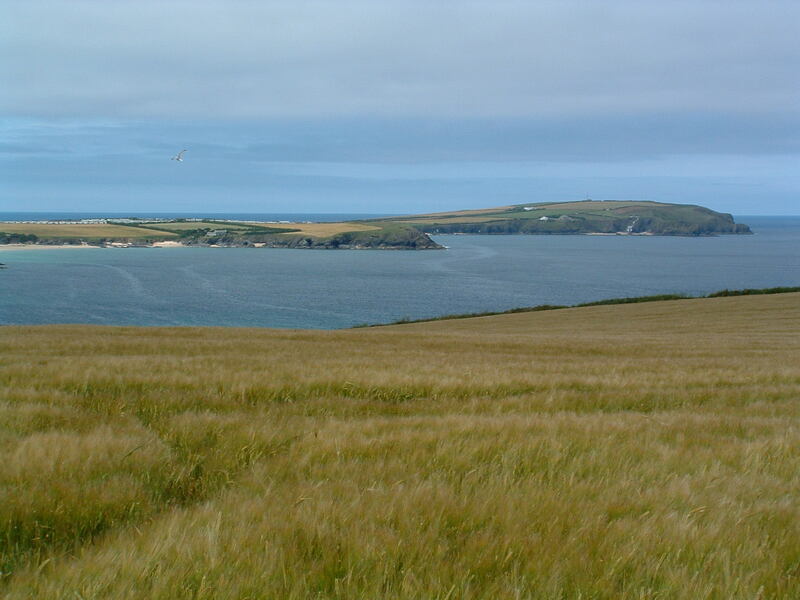 maritime grassland and heath, are also important for a range of rare and threatened invertebrates and plants, and are important habitats of European significance - Many Priority BAP species in Cornwall, at least 150 of them, share ecological similarities with chough and benefit from similar positive management. Grazing stock used to restore and maintain suitable heath and cliff habitat is vital for the health of our coastal biodiversity. Such grazing management is economically marginal but has high public, social and environmental value. Agricultural support through agri-environment schemes is vital to continue to maintain and enhance these sensitive grazing initiatives if the benefits to biodiversity and the local economy are to be sustained. Sightings of choughs from the Welsh population are increasing on the North Devon and Somerset coasts, and this is where our project advisory work will expand into next. The choughs’ recolonisation of Cornwall, and potential for range expansion in the future, provides an important step in linking the Breton, Welsh and Irish populations, facilitating exchanges and linkages between these isolated populations. What do you think about these projects? 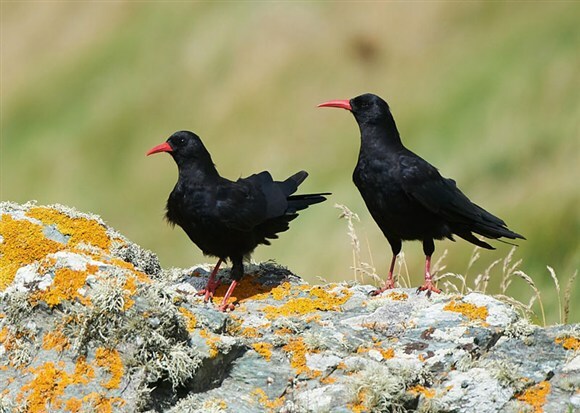 Have you seen any chough along the Cornish coast? Why not also follow the Cornish Chough blog and find out how things are going? We’d love to hear from you. Thanks, Sooty, it's fantastic the work farmers have been doing. It was so exciting for us and for the people of Cornwall when the choughs returned in 2001. Genetic research has been undertaken to try to find out which Celtic country those first two birds originated from (perhaps you have mixed this project up with another - the choughs naturally returned without any reintroduction effort - which makes it even more fantastic, don't you agree?). They truly are spectacular to see, aren't they? And, fingers crossed, we'll be seeing them further eastwards along the English coast in the next few years. Well done to RSPB and the farmers and I think probably Paignton Zoo helping.How hard it is to get improvement when numbers get so low.We saw some Choughs when on the cliffs at Anglesey,came as complete surprise at the time and they were very quiet and came quite close for considerable time then did some flying acrobatics.